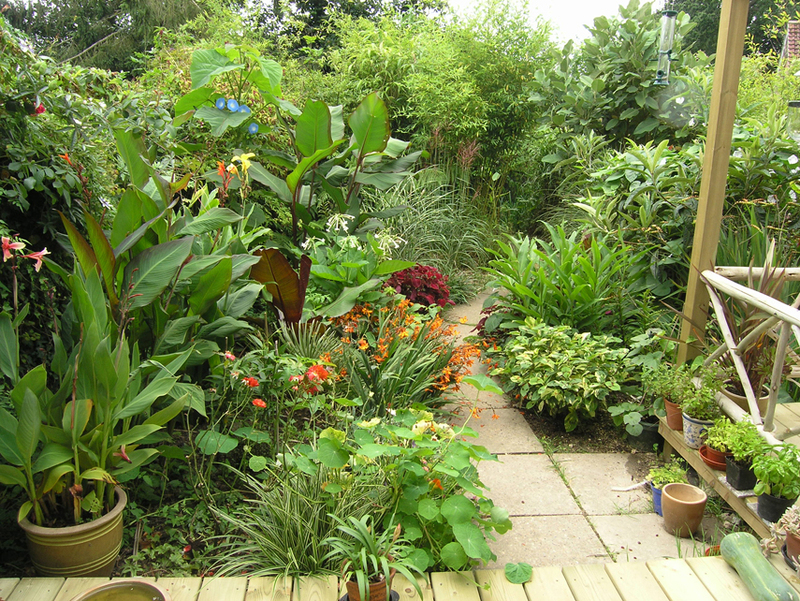 We have a small but densely planted back garden in the village of Lindfield, West Sussex where we indulge our passion for the tropical feel. We planned it as a secret retreat, somewhere we can relax and dream about past travels to exotic places. 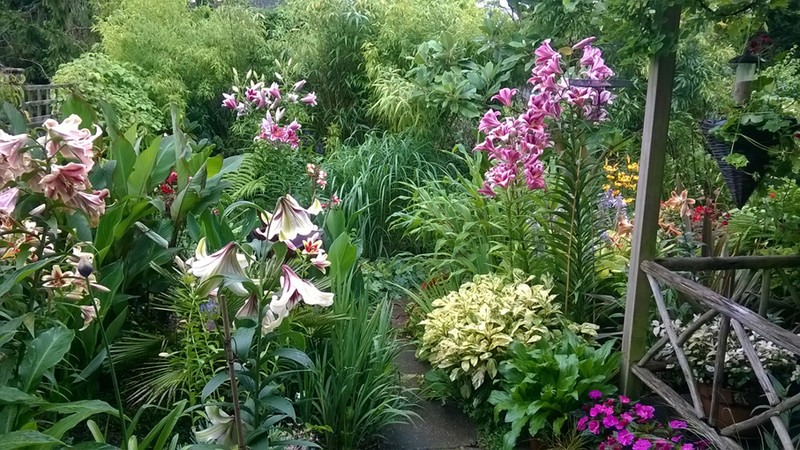 Our garden is open for visitors for part of the year - see Visiting for details. There are two decking areas with seating. 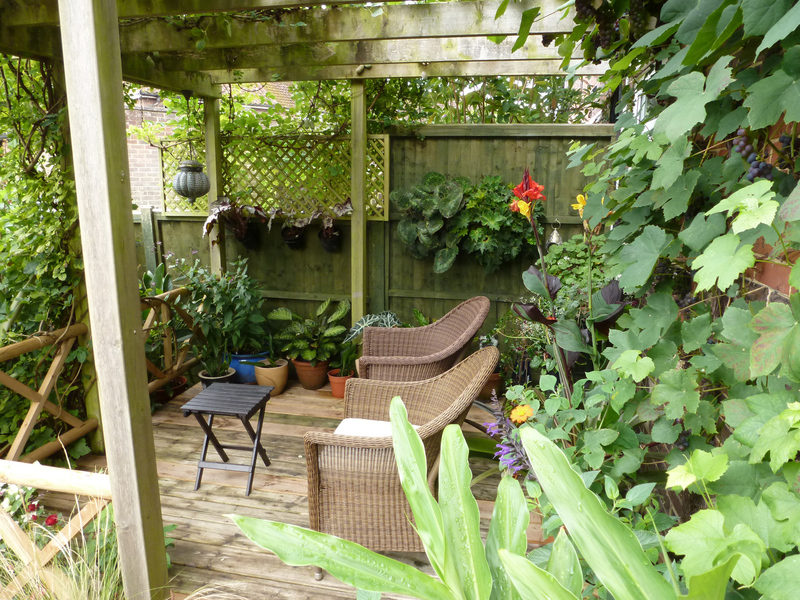 The top deck which looks out across the garden is covered by a pergola with vines and Akebia and has many pots which change through the seasons. 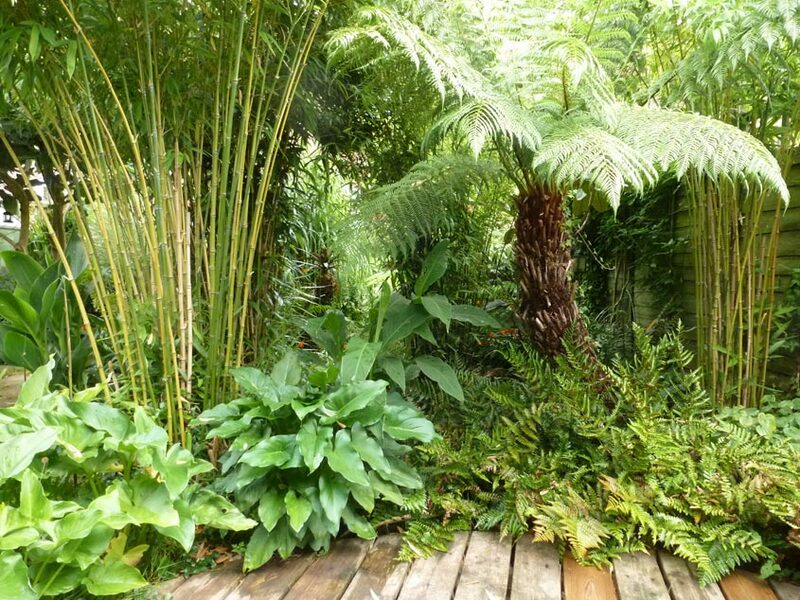 ... and then on into a more tranquil, lush and wild planting where bamboos and ferns predominate. 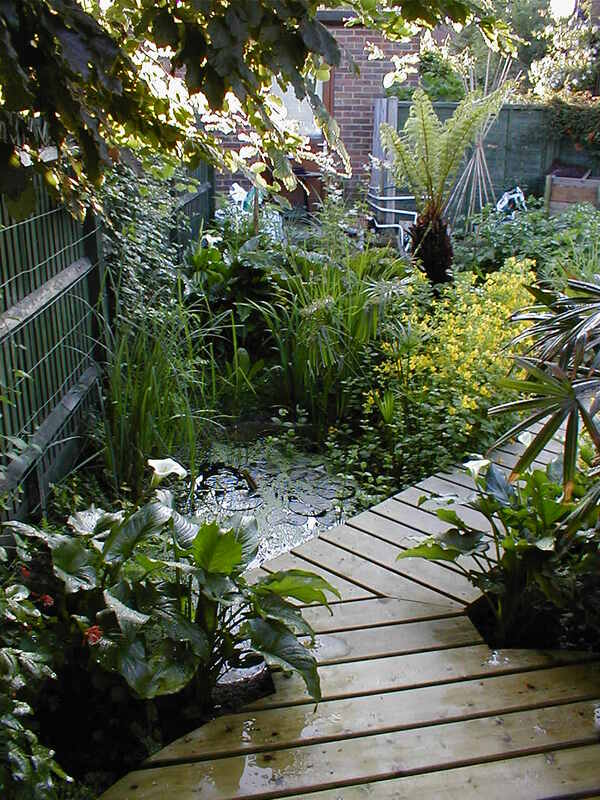 Here the path crosses a wildlife pond to the circular deck which provides shade when you need it on the hottest of days and also lovely evening sunshine. 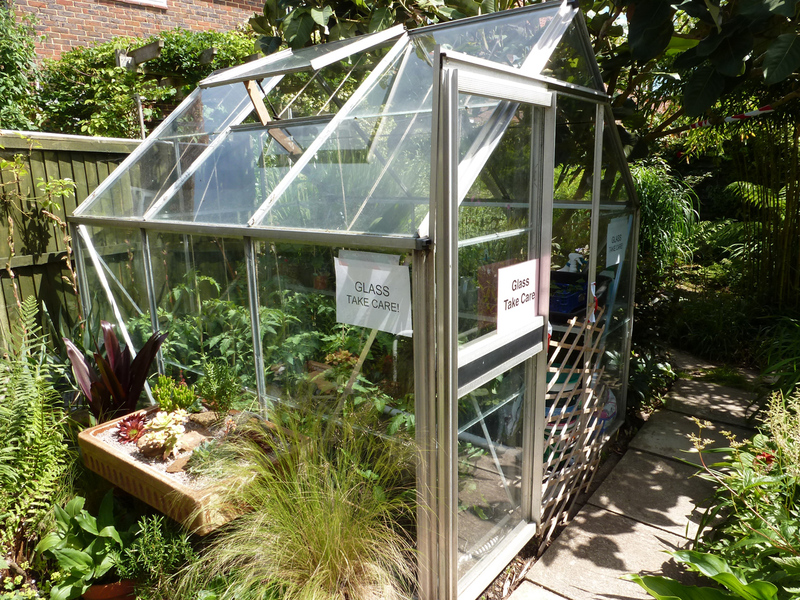 Finally, at the bottom of the garden we now have a greenhouse where we overwinter plants and grow tomatoes in the summer. It also doubles as our potting shed.